Yes, we live in a world where everything must be rebooted or remade for the money paying masses. 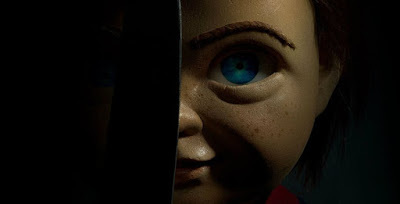 Next up is the remake of Child's Play that will retell the story of an evil doll that goes on a murderous rampage. While production has been completed on Lars Klevberg's remake, the studio is already ramping up their marketing campaign for the film. Today, a new website touting Best Buddi has officially launched. The site advertises Buddi the doll who "just wants to be your friend". Obviously, we know that's not the case. The seemingly innocent doll will take a knife to your abdomen or any other region of your body if given a chance.